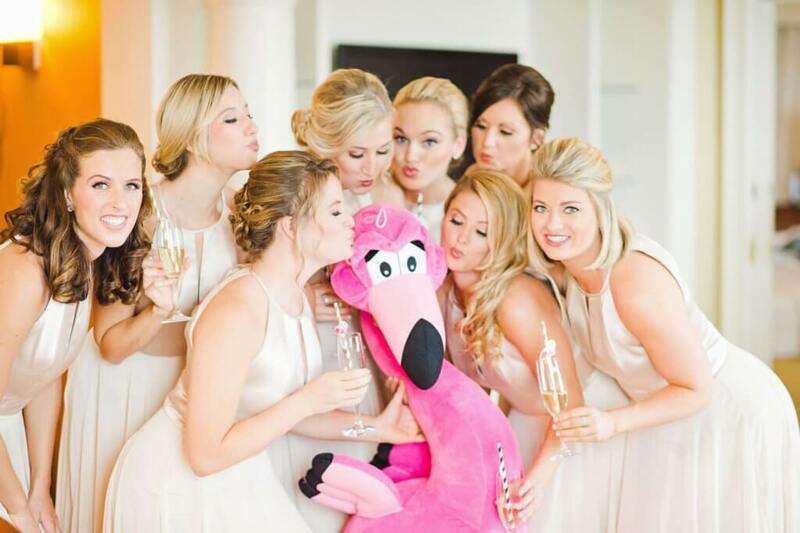 This wedding goes beyond the standard gorgeous fare. The pretty pastel florals by Iza’s Flowers or the glamorous details by Special Moments are all making an appearance. But what really strikes a cord is that all those pretty moments were planned by the Bride-to-be while her love was deployed over seas. And the culmination of all that love and planning and waiting is so, so sweet. Have a look at all the imagery by Captured Photography By Jenny right here. I am head over heels for this dreamy vintage wedding shoot from Legacy Seven Studios! 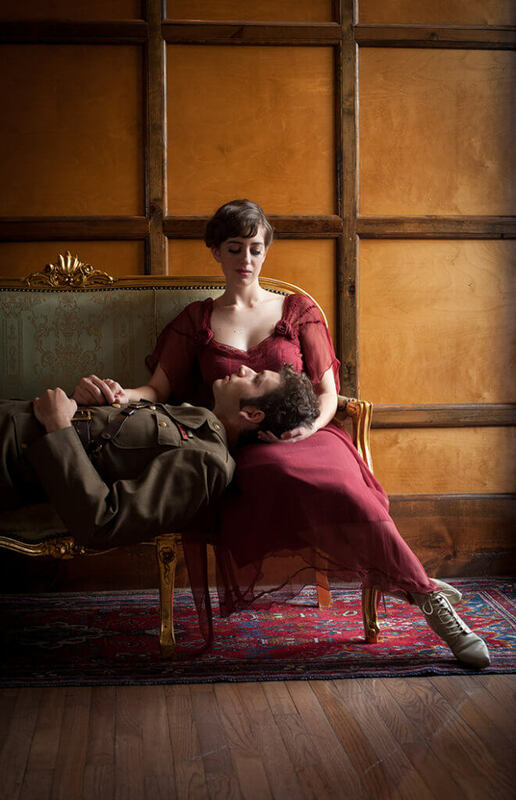 I just love the romantic Downton Abbey style (am I the only one picturing Matthew and Mary after he came back from the war?) Such timeless and elegant inspiration! Oluwatitoyin and Shomari had a real cultural fusion at their wedding. 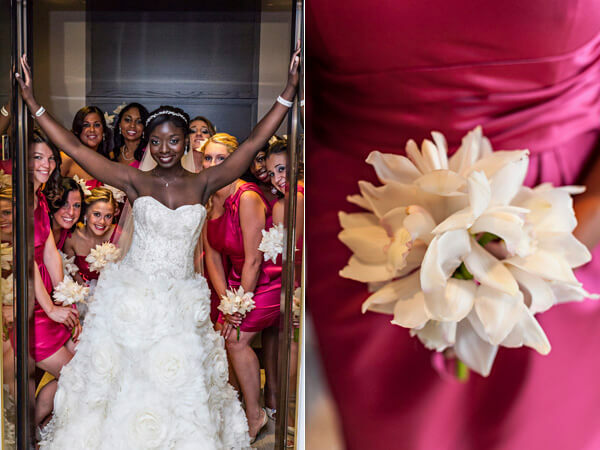 They combined elements of the bride’s Nigerian Yoruba culture with influences from the groom’s Caribbean roots. The combination created a beautiful masterpiece of joy, celebration, and cultural fusion. 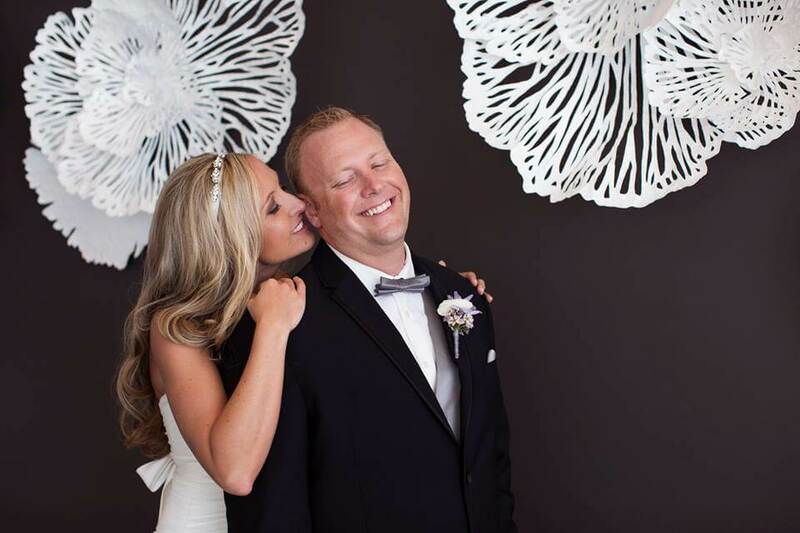 Their special union was photographed by Bryan Glynn of BG Pictures Photography. Vanessa and Ivan’s intimate Clearwater Beach wedding featured modern, elegant decor with rich colors of purple, silver, and white. Stephanie and Nathan’s downtown St. Pete wedding focused on two of the couple’s loves: travel and family. Amanda and Christopher focused on keeping their waterfront St. Petersburg wedding intimate, without uninvited observers. Michelle and Marc’s waterfront Bradenton wedding featured a navy blue color palette and an outdoor, interfaith wedding ceremony under a large Spanish moss tree. 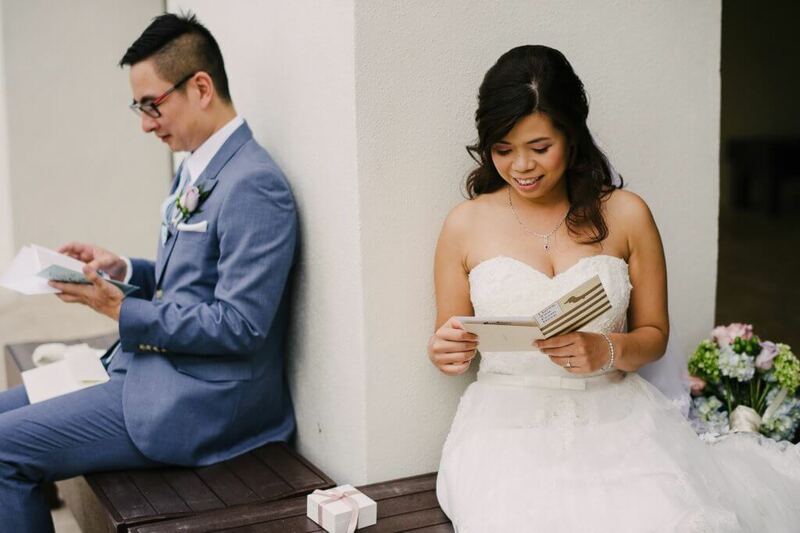 “We chose to have a little getaway ceremony in a quaint coastal town. 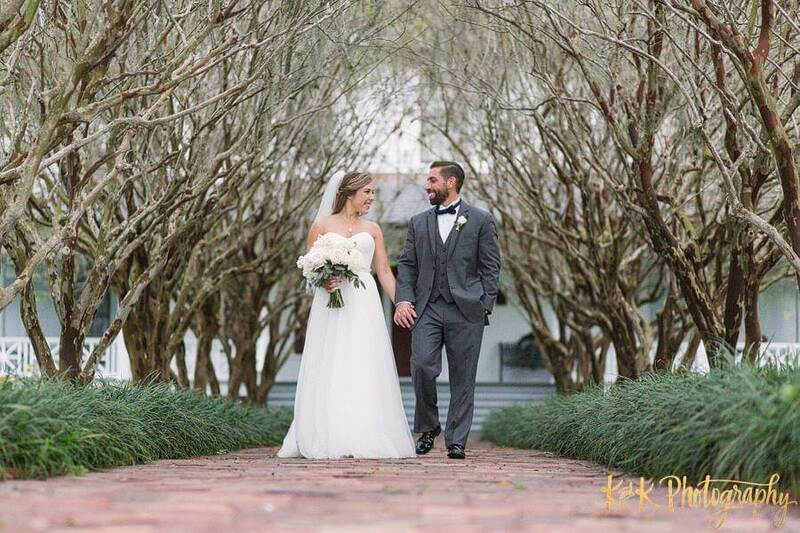 With the venue being a historic, waterfront bed and breakfast, it matched all of our visions of what we imagined our wedding day to be like,” the bride gushed. Arielle and Seth’s elegant Tampa wedding included classic elements with a modern twist. “We both held true to our traditional values and decided to get married in an Episcopal church,” the bride shared. 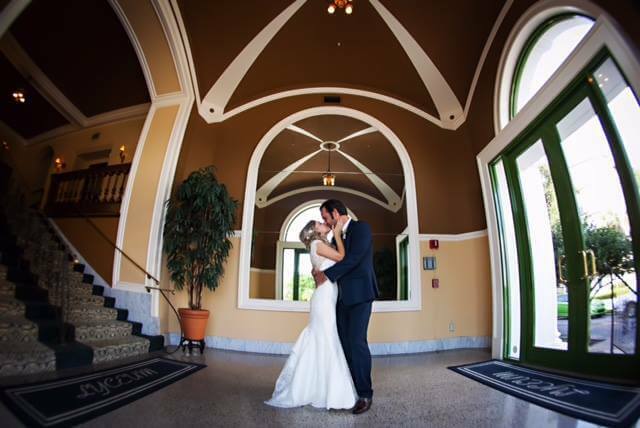 The St. Petersburg chose downtown Tampa wedding venue The Vault for its sophisticated character and decor. 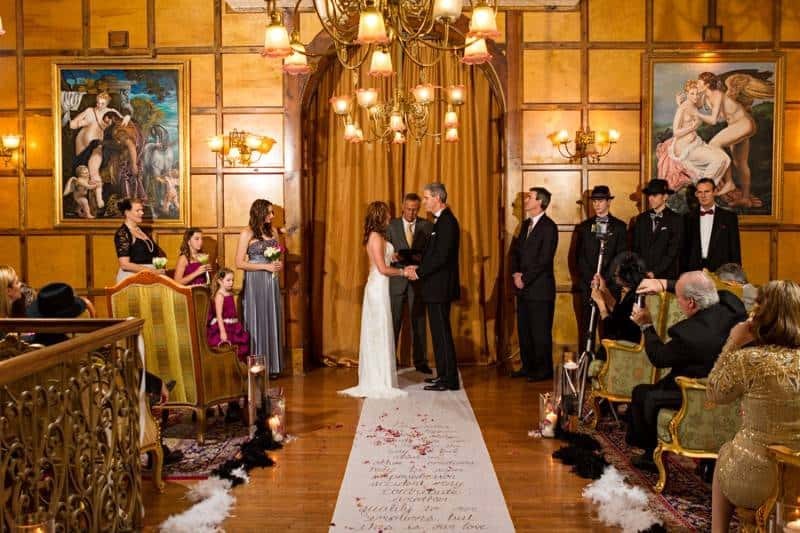 “I love the glam that is ‘Old Tampa,’ and wanted to put my own modern touch on it,” the bride explained. 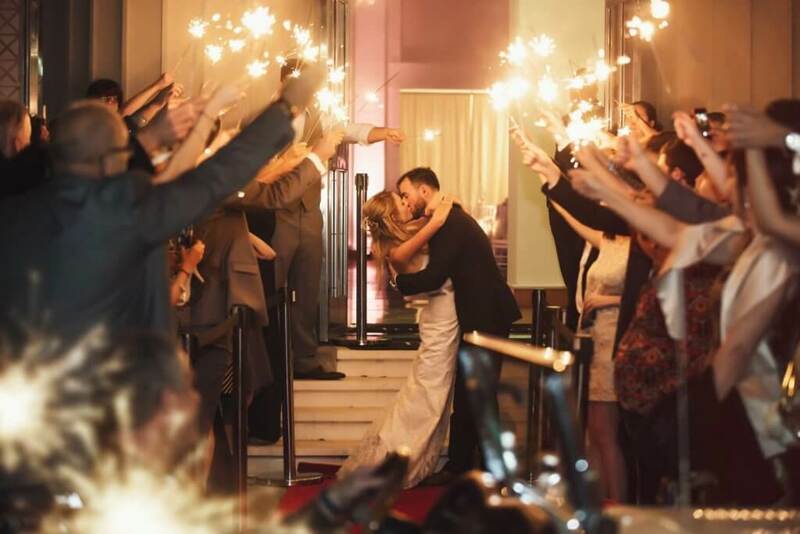 To complement their wedding theme, The Atlanta couple chose historic downtown Tampa wedding venue The Vault. 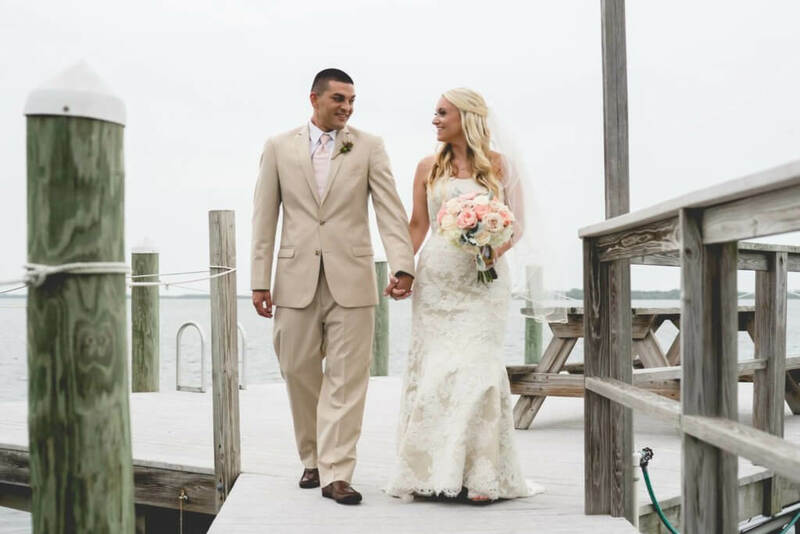 It was always Henrietta and Adrian’s dream to host a beach wedding, and the Canadian couple’s wish came true during their destination Clearwater Beach wedding.